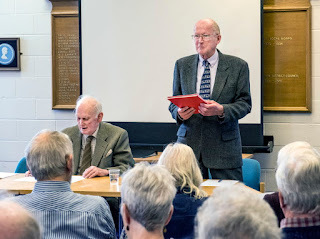 The society's 56th AGM took place on Tuesday 20th March 2018 in Marple Library. Chairman Gillian Postill reported another busy year. Her report focussed on planning matters including the society's response to the consultations on the National Planning Policy Framework (done through the national body for the civic movement, Civic Voice), the Greater Manchester Spacial Framework (GMSF), the Stockport East Multi Modal Study (SEMMMS) and Stockport's own Local Plan. Finally she mentioned Marple's Neighbourhood Plan to which the society is an affiliated member working on town centre issues. She went on to announce the forthcoming planning workshops the society is organising in May and July this year. Treasurer Gordon Johnson reported that the society is in a sound financial position showing a small financial surplus. On behalf of the membership secretary he reported a stable membership of 350 at year end. 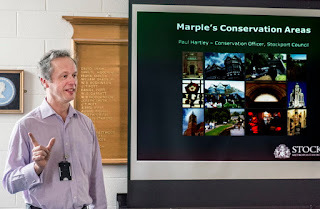 The business meeting was followed by a very interesting talk from Paul Hartley, Conservation Officer for Stockport MBC about how conservation can benefit Marple. We hope you will join us for the society's 56th AGM and speaker meeting this Tuesday 20th March 2018 in Marple Library. 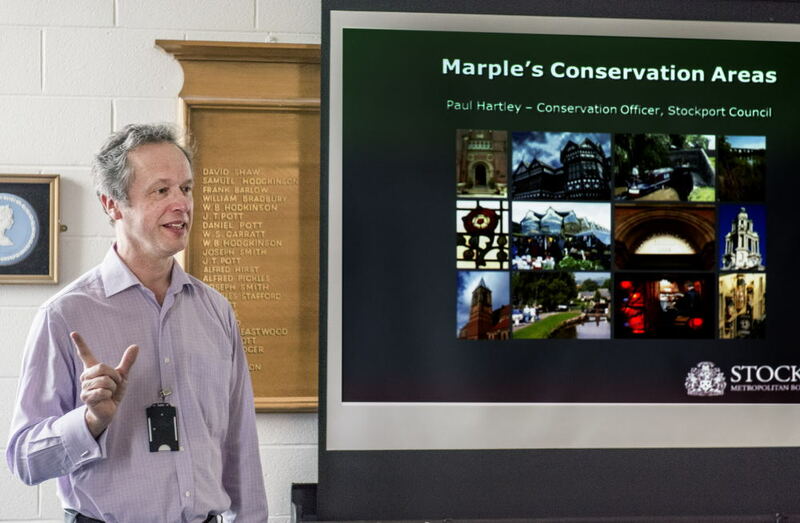 Our speaker is Paul Hartley from Stockport MBC who will speak about conservation and how it might help us better care for Marple. 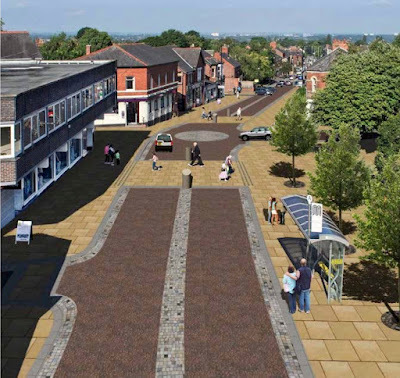 A Neighbourhood Plan Forum was then set up to take forward positive regeneration of Marple Town Centre and address other planning issues in Marple - a Neighbourhood Plan is a means of local people being more involved in shaping where they live. The civic society is an affiliated community group on the Neighbourhood Forum and is a member of the Neighbourhood Plan Town Team. It has been a tortuous route to get to where we are. The council recently commissioned Atkins, their consultants, to carry out another Marple town centre study/traffic count. 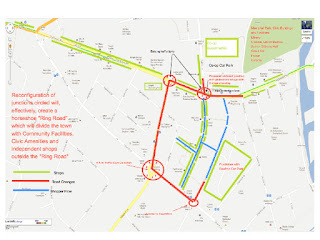 The council's traffic engineers still harbour desires to widen the junction at Hollins Lane including a two stage pedestrian crossing and converting the roundabout at Littlewood's butchers into a traffic lighted junction, reminiscent of their scheme in 2013. Marple deserves better, much better. Through the Neighbourhood Plan we will continue to work with the Phil Jones Associates Study for the positive regeneration of Marple. 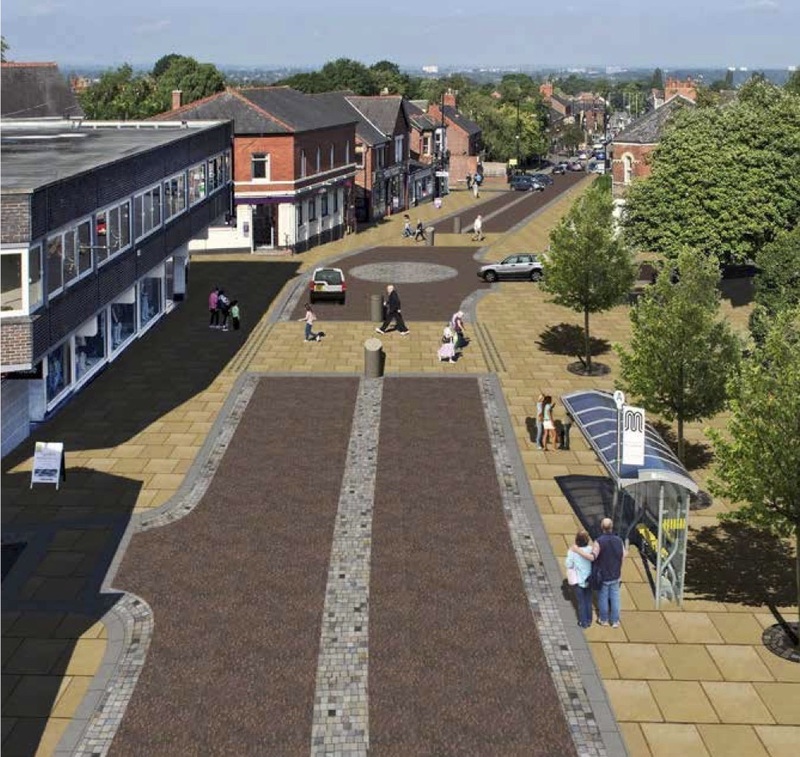 This approach would unite Marple and turn it into a people friendly town rather than a congested, traffic dominated one. Items of note this month include the unanimous refusal by councillors (supported by many residents) of a report by the council's traffic engineers proposing traffic calming measures (more speed humps) on Hibbert lane and the abandoment of proposals for a cycle lane on the A6 in High Lane. The Society's planning team has sent a response to SMBC Planning Department to recommend refusal of planning application DC/068083, a retrospective application for change of use to a mixed use consisting of an urban farm and education facility together with retention of associated buildings, structures and parking area (retrospective). The council is to raise car parking charges in Marple (and other District Centres in Stockport) by 10p on the first three charges (20p, 40p, 60p) so that the charges in Marple will become 30p, 50p, 70p, 80p, £1 etc. 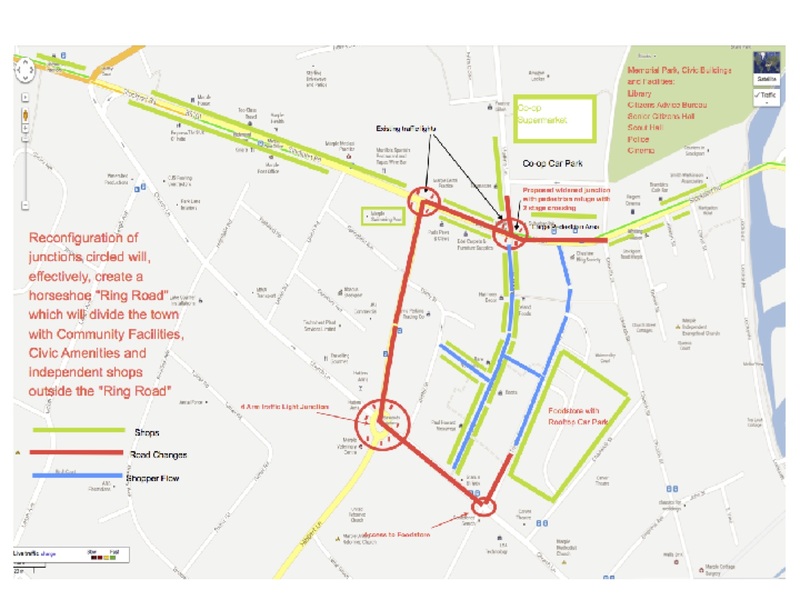 On street free parking for one hour will remain unchanged. The two car parks on Brabyn's Brow will continue as free car parks for the forseeable future. The council originally proposed a charge of 50p for the first 2 hours and an increase of 10p thereafter and charging on the two car parks on Brabyn's Brow. Whilst not perfect, the council's decision preserves the free parking on Brabyn's Brow car parks and a relatively modest price increase.